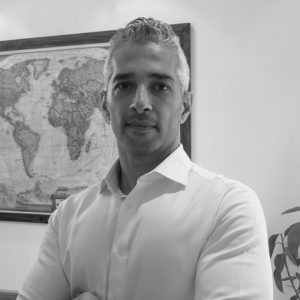 Tarik joins Democrance with invaluable experience in the Middle East telecommunications industry, having held key positions in some of the biggest telecoms players in the field. Previously, Tarik was the Head of Digital Commerce at du and an instrumental member in establishing the Digital Business department. During his tenure, Tarik developed GTM strategies and innovative business models for Digital Services among others. As a management consultant and seasoned business leader with 15+ years ICT experience across the Middle East region, his unique strengths lie in driving digital transformation and developing strategic partnerships across organisations that support new business streams and leverage on synergies in the telecommunications space and numerous vertical sectors, including finance, government, healthcare, hospitality, media, retail and transportation.